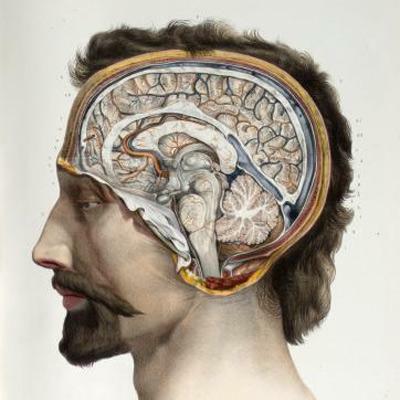 Dissection of the brain, in 7 numbered illustrations. Brain shown with dura mater in place, and with dura mater reflected, lateral views. Transverse sections showing the cerebral ventricles, superior views.